Lee Tae-min (born July 18, 1993), better known by the mononym Taemin, is a South Korean singer and actor. He debuted as a vocalist of the group Shinee in May 2008 under S.M. Entertainment. He began his acting career in 2009 with MBC's comedy Tae Hee, Hye Kyo, Ji Hyun as Junsu. 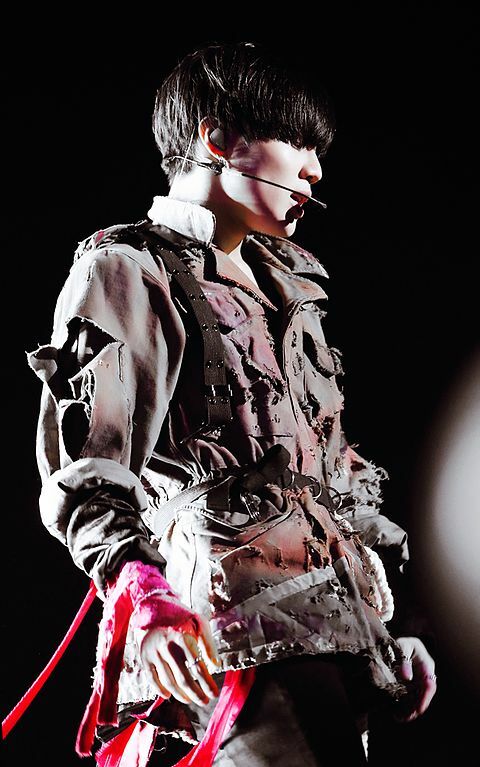 Taemin began his solo career in 2014 with his first extended play, Ace. It peaked at number one on South Korea's Gaon Album Chart and its title track reached number 5 on the Gaon Weekly Digital Chart. His first studio album, Press it (2016), charted at number one on the Gaon Album Chart. The title track, "Press Your Number", was originally written by Bruno Mars but Taemin wrote new lyrics for the song in order to appeal to the Korean market. In July, 2016, Taemin released his second extended play, Solitary Goodbye, and made his solo debut in Japan. Characters Taemin, Jongin and OC's Exo and Shinee members! April comes I come too With oneshots! And... something is going to be different! They were five unbreakable guys. They had what it sounds like a double life for many where they act like they don't know each other in college and become the unbreakable boys after college. What would happen however when something Jinki and Jonghyun had done last summer started to haunt them making their and the other three lives in danger? He was a combination of heartbreaks and "I love you's." He was her first date, first dance, and first kiss; her Mr. Chu and first love. Sometimes, you have to take risks, and moving into the city is a risk Jinki has always wanted to take, but maybe it was a lot riskier than he thought. Once upon a time in a prosperous land, Mundanes and Faeries work hand-in-hand; Until comes the birth of a tyrant, Who destroyed the peace and issued commands. He who have conquered the land of flourish, Have wreak havoc and put the world in amiss. Now, mortals and faeries have become nemesis. Minho and his small pack lived in the bordering forest of an old town. He found himself watching over the town as of recently, feeling some tug that kept him feeling a bit melancholy and restless. He couldn't fathom why, until he met this lone wolf.